w w w . r o s s w i s e m a n . c o m | my vertical journey: thoughts on life, spirituality, church planting, and stuff. my vertical journey: thoughts on life, spirituality, church planting, and stuff. 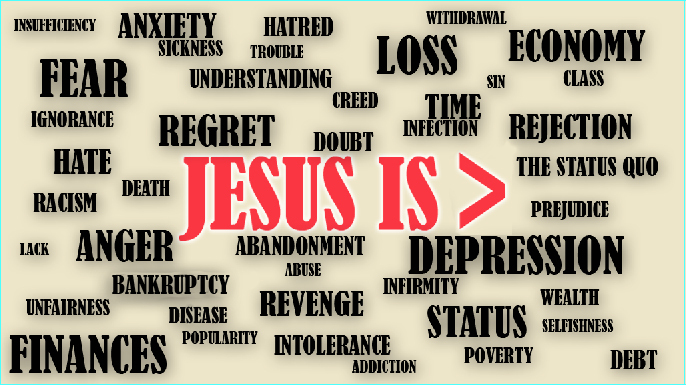 We will continue our series and this Sunday we will look at the inspiring truth that ” Jesus is > My Past”. If everyone would please post this and also go out of your way this week to invite a friend to come with you I would appreciate it. I can’t wait to see what God is going to do in people’s lives this weekend during our services. There is no greater joy then seeing someone you invite to church come and watch God blow their minds with His presence. This past weekend a man I met and spoke with at a gas station came to Momentum and brought his wife. This was their weekend! God showed up and made Himself known to them during the service and they received Jesus as their personal savior. 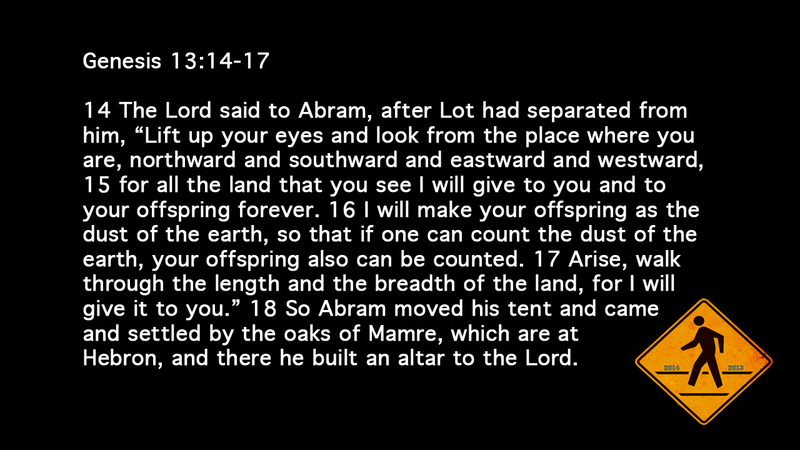 It never gets old watching God make divine connections as we go through life and then seeing how God takes what seems like chance encounters and weaves His divine plan of salvation. I love that I have the opportunity to preach from the platform week to week, but the greatest ministry any of us can do and are called to is the ministry of just keeping our eyes open as we go through life and allowing God to speak hope to people through you wherever you go. There is no greater joy. Today is the third day of our church wide 21 day fast. I pray that already you are being reminded of the preeminence of Jesus in every area of your life. I want to remind you also that the richness of a fast doesn’t come from what you take away during your season of fasting, but rather what you add. If we only take away certain foods but fail to add feasting on God’s Word then we are merely experiencing a diet. Although this can be a physically beneficial part of a fast, our goal in taking away food and the hunger that ensues should lead us to hunger after God’s Word. Maybe you have chosen to do away with the social media. This is great and will lead you to focus on the relationship you have with God and what God is trying to communicate to you during this series. Again,if only taking time away from social media occurs, but one fails in seeking God in prayer and meditation on His Word, then the giving up of this distracting endeavor loses it’s spiritual benefits and force. I encourage you to add to your life over the next three weeks as much as you deny yourself whatever God laid on your heart to deny. Add prayer, worship, study, solitude, praise, service, etc…..
Tonight would be a great opportunity to add something to your fasting experience. We will be hosting over the next few weeks three Wednesday Night’s of Worship at Momentum Church starting tonight from 7:00-8:15pm. Plan to come experience the presence of God in a tangible way as He shows out in all His glory and power. -What a great way to start the year off. We always close up shop during the last Sunday of the year and I absolutely love being back with everybody the first Sunday of a new year. -I had at least four different families speak to me following service this weekend just wanting me to know that Momentum is home to them. I love that God is bringing some amazing people to be a part of this body and together we are all going to make a huge impact for Jesus on people’s lives this year. -This is going to be a year that we will walk into some amazing things God has prepared for us. I want us to be those that will hear the Word of the Lord and then take the steps necessary one step at a time to walk into the promises, dreams, and desires God has for us, our church family, and our city. -Our time around the altar this Sunday was powerful as we each committed to taking “One More Step” towards the promises of God regarding those areas we struggle with, need a miracle in, or just want to see God’s best. What a great start to our new series “A Place At The Table”. We examined Luke 14:12-14 and began to see the kinds of people that Jesus invites to His table for fellowship. The Poor, Crippled, Lame, and Blind all get a personal invite to come to the table of God. The Bible says that we are seated with Christ in Heavenly places. Don’t let anything make you feel unworthy to find “your place at the table”. Maybe you’re poor and broke in so many areas of your life. Emotionally broke, relationally broke, you just feel spent and worth nothing. Jesus says you are exactly who I want at my table. Or maybe you are crippled. Your resolve and abilities seem to have shriveled up. You have lost the power to grasp hold of what it takes to see a change in your life. Guess what,? You are exactly who Jesus wants at His table. You might say I am powerless to carry myself to the destination I see on the horizon. I am lame and my destiny is in jeopardy. I am tired of my life being dragged down the path of trial and error. God I need you to carry me to new heights and the destinations that you desire. Again I would say to you, if that is how you feel……You are who Jesus invites to find your place at the table. Finally those who are blinded by materialism, perfectionism, intellectualism also have an invite to the table. Don’t miss your chance because you have your eyes on everything else but the love of Jesus. If you can take a moment and see past the stuff that clouds your vision and get a glimpse of the one who truly satisfies you will see all that you are searching for is at that table. There is nothing like realizing that you have been invited to sit with Christ in Heavenly places. That means everything that is at Jesus’ disposal is at your disposal. Hey Jesus, pass me some of that peace. Jesus, can you give me a serving of strength, and with it a side of grace. Lord I’ll take a second helping of your presence and a little victory on top. All that you need is in the presence and person of God. Don’t let anything keep you from his invitation to come and dine! 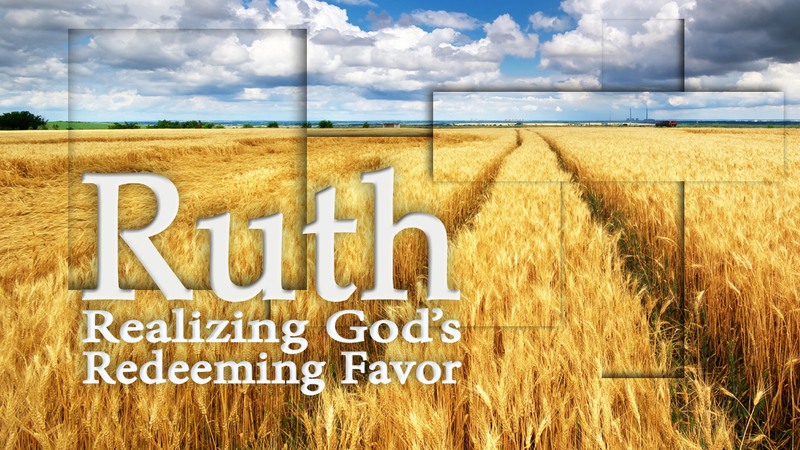 This week we launched a new series from the Book of Ruth. The first chapter paints a picture of a women who had lost everything. Her husband and sons were from a town known for it’s barley and bread production. The town’s name heralded this prosperous reality. Bethlehem, house of bread. A city where there was plenty. A place where hunger was satisfied and life was predictable. Winter, Spring, Seed-time, and Harvest; a rhythm interrupted by a famine that spread across the land leaving Naomi with a decision to stay and waste away or to leave and look for sustenance elsewhere. The journey takes them from the House of Bread. They travel away from what was suppose to be a place of order, what was suppose to be a place of provision, what was suppose to be a place of fulfillment….to the uncertainty of the fields and chaos that was the countryside of Moab. This is where Naomi’s frustrations begin. Life in Bethlehem has changed forever and what was “suppose to be” will never be the same. Often our frustrations are rooted in the “suppose to’s” that end in unmet expectations. I saw a news report of a young man who graduated from law school, but could not find employment anywhere as an attorney. He now makes annually $15,000.00 working at his local YMCA. He felt the proper education was “suppose to” get him a great job. That great job was “suppose to” bring financial success. That success was “suppose to” help him have the confidence to find a wife and start a family . Instead he lives at home in his parent’s basement. Have you ever found yourself lamenting…….”This is not how things are “suppose to be”? -We had another great night of worshiping God with our whole hearts and responding to His leading to draw close to Him in prayer at the altars. -I was blessed by God to have dropped in my heart for the first time a thought regarding why coming to an altar can be such a powerful expression of faith and spiritual hunger. A bride prepared for her groom will find herself walking an aisle to meet with the one who desires to bestow on her all that is his. -Pastor Dave Divine preached on the subject of covenant and like a husband and wife who enter covenant share in everything, Jesus as our groom and the church as His bride has entered a covenant where all that is His is ours and all that is ours is His. -The reality of this message resulted in many coming to the altars for prayer to accept all that God offers because we are His. 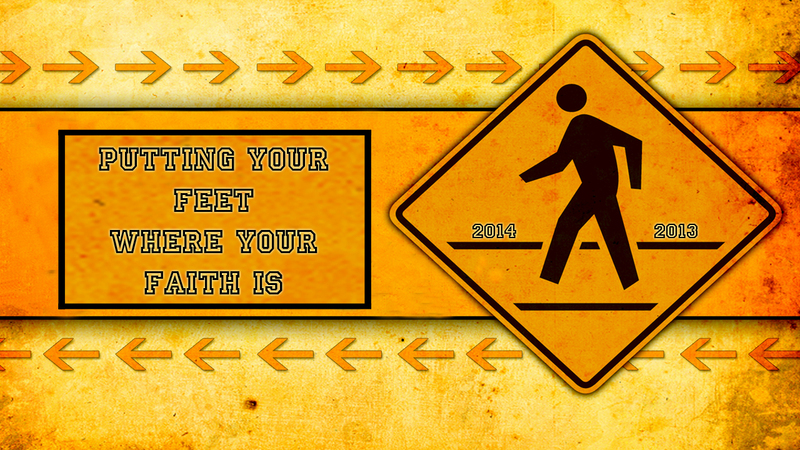 -Pastor Dave’s sermon centered on the story of Mephibosheth. A descendent of Jonathan who had been crippled at the age of five. Because of the covenant relationship of King David and Jonathan there came a time when the King looked to bless one of Jonathan’s own. Mephibosheth didn’t feel worthy of anything, but David invited him to eat at the king’s table for the rest of his life. -The Lord gave me a thought during the teaching that as long as we are at the King’s table, our brokeness is covered by what the King has prepared for us. You couldn’t see that this man’s legs were crippled as long as he was seated at the table close to the King. As we stay close to Jesus those things in our lives that make us feel less remain covered by His grace. What a great message of the power of being in a covenant relationship with God. -For all the Code Red Revival sermons you can go to www.MomentumChurch.tv and check out the podcasts. -Don’t forget to come ready to worship our great God this Sunday at Momentum Church during our “Code Red Celebration Service”. 9:30 or 11:15. -If you would like to share what God has done in your life email ross@momentumchurch.tv and let me know which service you plan to attend. -The totals for the Code Red Mission’s projects are awesome! Atlanta Dream Center (Human Trafficking Ministry) $2,500.00 Just One Foundation (Water filtration systems) $1,800.00 (30 systems that have the ability to filter 30 million gallons of water). Great job Momentum allowing God to move “in you” and “through you”. -The King was on His throne for sure on the second night of CRR. The house was full of people expecting an encounter with the presence of God and a timely word from the Lord. Both God’s presence and His word showed up in an undeniable way. -I want to take a moment to honor the worship band and those who support them through media and tech. Y’all have submitted yourselves to the leadership of Jesus and it is showing. I love that your love for music is superseded by your love for Jesus and lifting up praise to God. Thank you for leading us to the throne of God as we have worshiped freely the One who has set us free. -This revival is the fruit of a Spirit led set up. I love the Spirit of grace that’s been on Momentum this summer from our teachings in Galatians to the first night of the revival and then last night. Not greasy grace devoid of challenge, but a grace infused motivation linked to who we already are in Christ and an invitation to rise higher with Him as His Bride. I love the bridal imagery coming out the last two nights. We are seen already in the eyes of God as having all he desires and all He wants. The past two nights have challenged us that it’s time to recognize that and rise up in the Holiness God sees in us and the reserving of ourselves and all our resources only for Him. He is mine…and I am His. It just doesn’t get any better than that. -See you tonight and don’t forget next Sunday at 9:30 & 11:15 will be our Code Red Celebration Service. It will be a time of Worship and Witness. If God has done or is doing something in you we would love to have you share that on Sunday. Please email me at ross@momentumchurch.tv and let me know what God is doing. -We have been praying and preparing for this series of meetings for a couple of months. You can’t plan a move of God, but you can prepare your hearts to be ready for what He desires. -Last night the presence of God was strong in the house as the Spirit of the Lord rested upon us during worship. The body lifted up it’s voice like never before in worship and anticipation of God. Like a bride prepared for her groom we waited for His coming and Jesus showed up with a word and a witness of His Spirit. -The Word of God delivered by Pastor Dan Palmer, was challenging and refreshing as he ministered on the subject that we ARE Holy because of Jesus and that should change everything about how we approach our view of sin and desires contrary to God’s. -It was great seeing so many surrendering to God at the altars refusing to be the king or lord on the throne of their lives. Jesus is the King of kings and the Lord of lords. Too often I half cheek the throne with Jesus. I need to slide over and off the throne all together and let the KING have HIS seat. -Tonight we will experience the next service in our Code Red Revival. Let’s let Jesus take His place on the throne of our lives and continue to work in us His plan for this revival. Who am I to think…. Who am I to think that the Word God has prepared for me to receive will result in anything less than God has prepared for me to have? Who am I to think that I’ve seen all that God desires to do? Who am I to think that I have God figured out? Who am I to think that I can tell God what to do? Who am I to think that I’ve experienced God at the measure God can make possible. Who am I to think that I’ve seen God perform his last miracle in my life? Who am I to think that my understanding of God and His ways is sufficient? Who am I to think that I can put God in a box? Who am I to think that I will ever be the same following what God has in store for me? Who am I to think that our church can go forward as usual when God is preparing to do what only He can do in us and through us? God prepare us to never be the same, never think the same, never live the same, in Jesus name. Aug 18th 9:30am or 11:15am – Pastor Ross Wiseman will speak about our need for a “Code Red Revival” in our lives. That place where God and man meets above the hopeless horizon of man’s helpless self. That place where man is beckoned to come higher to the one whose captured his gaze. The one who is high and lifted up and whose glory encompasses the mountain. As we ascend the mountain of God we realize that we grasp the limbs and rocks of the ascent with unclean hands. The weight of our deceitful heart slows our approach, but He keeps calling. There is a drawing to him where our heart grows lighter with each step and our hands shed the desire to grasp lesser things. We lose the satisfaction of lower living and with delight we scale the peaks of God’s presence experiencing His purity and His power. We find ourselves living at the place of new heights. Our equilibrium off but we are steadied by nail scarred hands that have brought us to this place where He can give us a glimpse of Himself and His point of view. Momentum Church, this is theseason God is drawing us into. A season where we climb. A season where we grow dissatisfied with anything less than hand in hand living with the God that chose you in the lower lands, but desires you to experience the highlands of His presence. “The Lord God is my strength, and he has made my feet like hinds’ feet, and makes me walk on my high places.” Habakkuk 3:19. 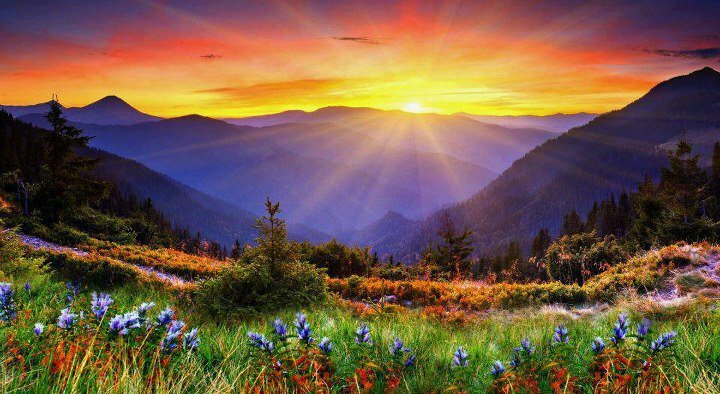 We are at the base of the mountain basking in the light of God’s invitation to set one’s gaze upon Him and to journey forward as we rise to the place He has prepared for us. That place where He will meet with us and cause our hands, our hearts, and our gaze to never be satisfied with less than all that He is and all that He has.